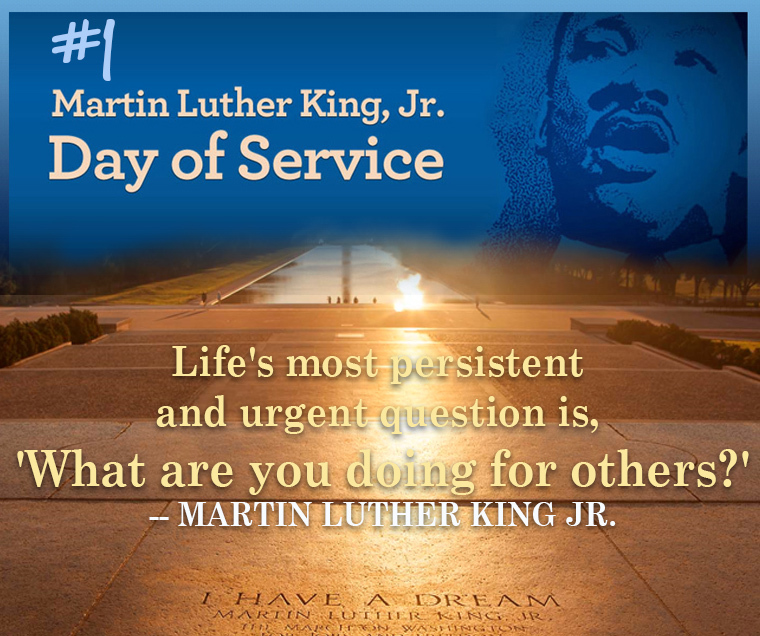 January 21st we celebrate Martin Luther King Day. It is a beacon day, whose light slices through all the jibber-jabber of our times and illuminates the fact that King, a Baptist minister and a civil rights activist, elevated and forever changed life in America. What's more, he continues to change lives. Sunday, January 20th: Media Fellowship House will hold its 30th annual Dr. Martin Luther King, Jr. Birthday Celebration on Sunday, January 20, 2019. 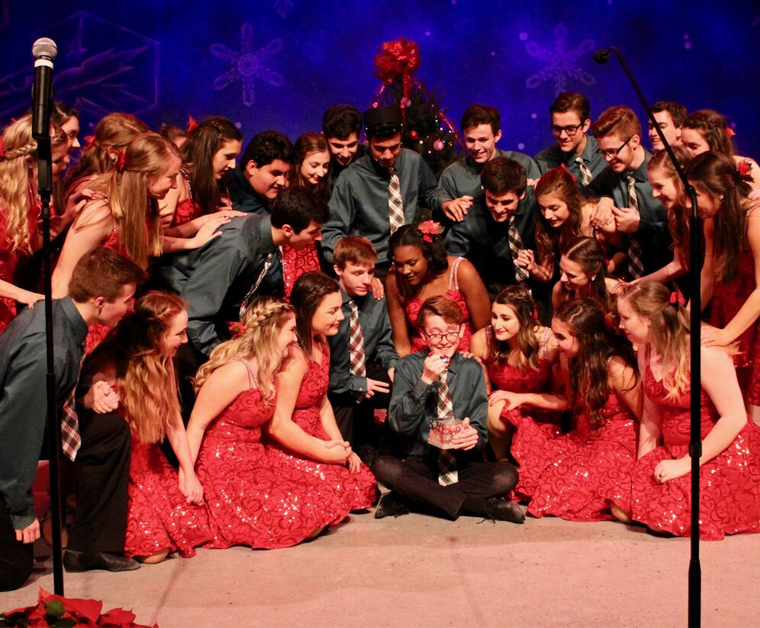 In addition to the traditional music and a keynote address by distinguished guest Anita Friday on Suspicion…Why and What Cost?, two additions will be made to last year's honor role of 12 Spirit Award Winners. Nominations are listed online whom which will be selected 2 honorees. Voting will end on January 9th, 2019. bios of nominees and to vote, visit /www.mediafellowshiphouse.org. Monday, January 21st: Since 2002 Haverford College Coach, Bobbi Morgan has spearheaded a basketball clinic for kids in first through eighth grades. 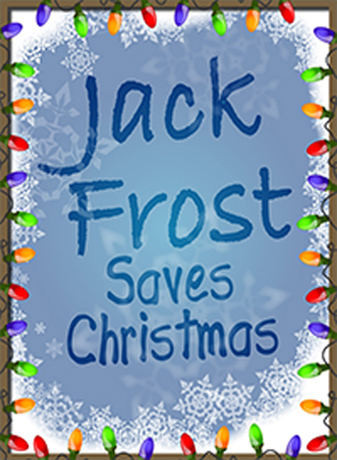 Proceeds benefit families in need of shelter, services, and day care facilities. All donations, including non-perishable foods, support the Community Action Agency of Delaware County's Life Center. To register call 610-446-9397 or email bmorgan@haverford.edu. The clinics are 9:30am to noon. Registration is $30 per child (and $20 for each sibling after that). This breakfast honors the life and work of Dr. Martin Luther King, Jr. with mingling, great food and the awarding of student essays. Delaware County Community College President, Dr. L. Joy Gates Black will be the keynote speaker and music will be provided by the Bible Union Fellowship Choir. Guests are encouraged to bring non-perishable food items or toiletries to donate to the County's shelter and food bank. 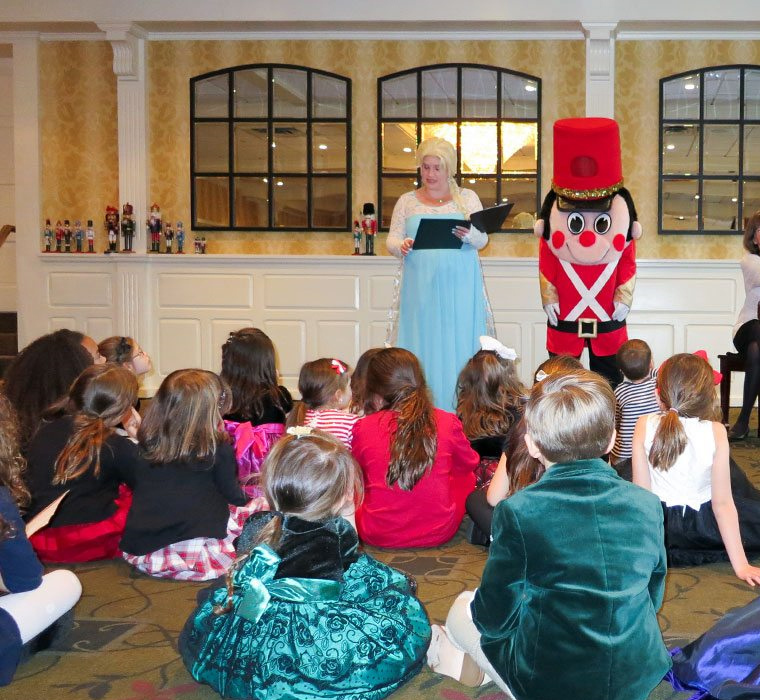 It is hosted by the Community YMCA of Eastern Delaware County, the Delaware County Chamber of Commerce, Upper Darby Community Outreach Corporation, as well as local churches and area schools. It’s widely known that one of King's biggest inspirations in his belief in non-violent activism was Mahatma Gandhi. Here are 3 Delaware County residents who have achieved great things. You are never too young or too old to explore your inner performer. 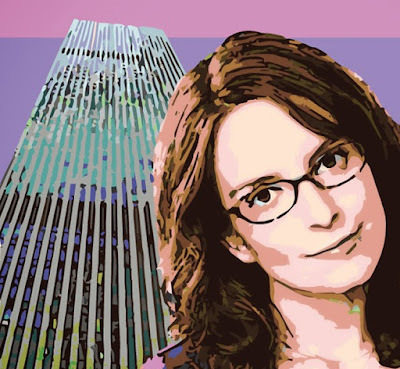 Tina Fey began her career as a young child performing at the Upper Darby Performing Arts Center...and at 48 years old, she’s just hitting her stride! was born and raised in Upper Darby. She attended Cardinton Stonehurst Elementary School, Beverly Hills Middle School, and graduated from Upper Darby High School. With more than a dozen Emmy nominations, Tina has already won 3 Emmy Awards for Outstanding Writing and Acting, and performed on what has been called 'one of the greatest TV series of all time,' 30 Rock. Her charity work is also inspiring, supporting the Alliance for Children's Rights, the Alzheimer's Association, Autism Speaks and the Children's Health Fund. Impact the lives of people in our own community, like Thomas Garrett did in the 18th Century...his bravery helped change history. 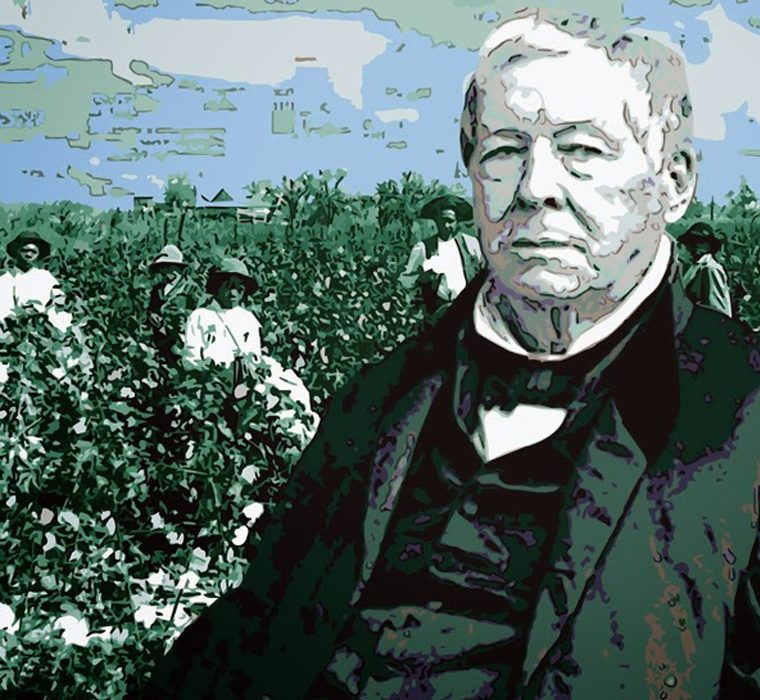 Thomas Garrett, born in 1789, was an American abolitionist and leader in the Underground Railroad movement before the American Civil War. The family home, Thornfield, where he lived until 1822, still stands in Drexel Hill and is recorded on the national Register of Historic Places. In a Quaker family already inclined towards abolitionism, Thomas became especially dedicated after a family servant was kidnapped by a man who planned to sell the woman as a slave in the South. While building a prosperous iron and hardware business, he also served as stationmaster on the last stop of the Underground Railroad, the pathway to the North for blacks seeking freedom from slavery. Facing heavy fines for his activities, Garrett continued his mission until the Civil War ended. 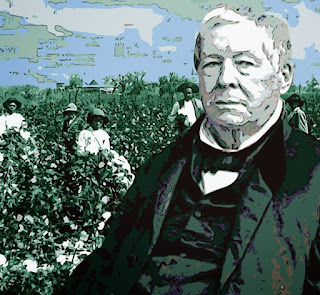 He is known for having assisted 2500 slaves to freedom. If you love gardens, and the arts...you've been touched by the life of Philanthropist, Dorrance (DoDo) Hill Hamilton. After an unprecedented six-month-long battle, Stoneleigh: A Natural Garden is no longer at risk of being developed. Last year this stunning 42-acre public garden in Villanova was rescued by the Natural Lands Organization, our massive garden community of volunteers and staff, plus local residents who fought off an attempt to seize the Garden via eminent domain, and develop it for other purposes. If this inspires you to support environmental projects, then Dorrance would be very pleased. She, like Stoneleigh Gardens, resided in Wayne. 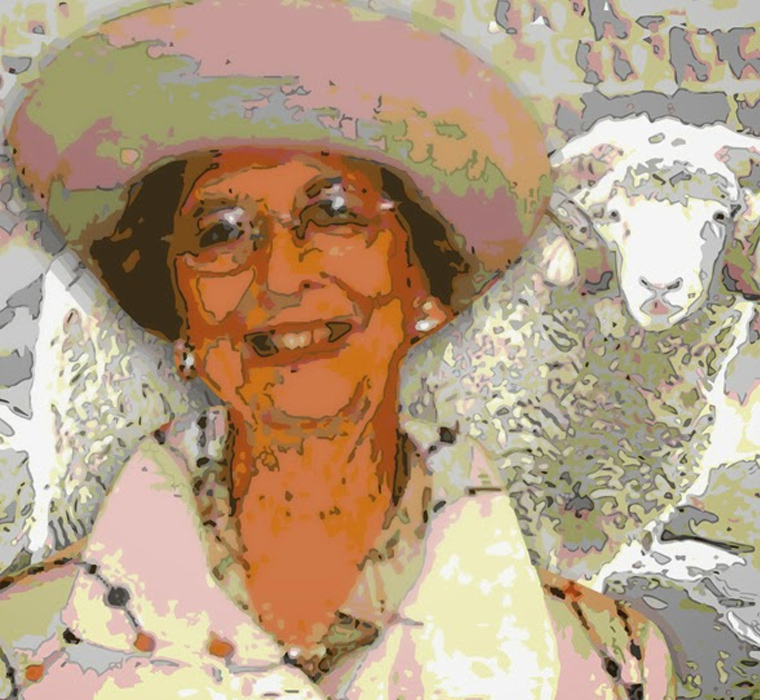 A huge supporter of local gardens and horticulture, she was an annual participant in the Philadelphia Flower Show, and fostered the horticulture program at Williamson College of the Trades, in Media. 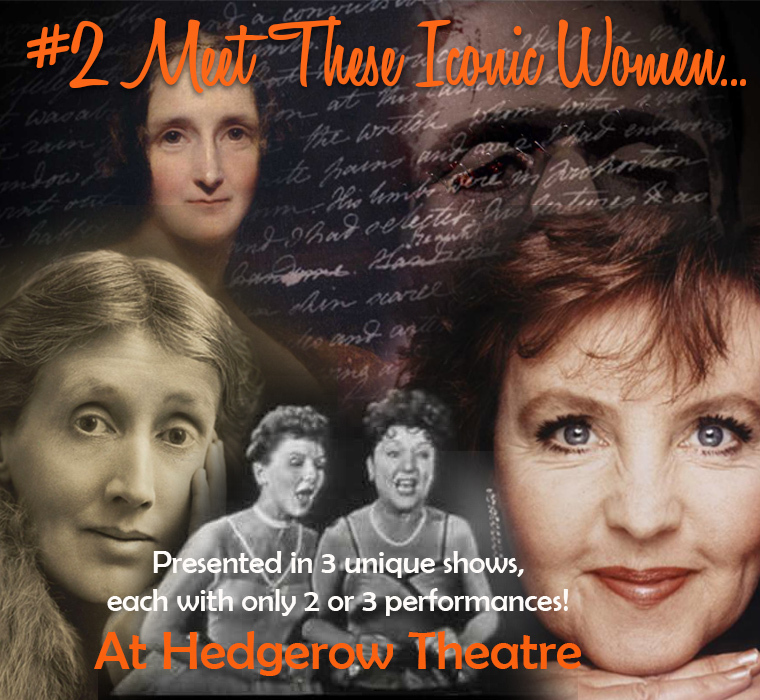 Hedgerow Theatre is proud to present three weekends that celebrate famous women. JANUARY 5th & 6th Jennifer Summerfield and Jessica DalCanton portray...MARY SHELLEY and VIRGINIA WOOLF! Act 1 – Mary Shelley: On the final day of Mary Shelley’s life, she solicits her daughter in law’s help to preserve her memory and legacy… and discovers that there may be more than one way to tell the truth. Susan Wefel as Shirley Valentine, Meredith Beck as Mary Martin and Sarah Gafgen as Ethel Merman. JANUARY 11th, 12th and 13th Susan Wefel presents SHIRLEY VALENTINE! Shirley Valentine is the fictional main character in the award-winning 1989 British romantic comedy-drama film bearing her name. Hedgerow’s own Susan Wefel portrays this ordinary middle class English housewife, who, as she prepares chips and egg for dinner, ruminates on her life, her husband, her children, her past, and an invitation from a girlfriend to join her on holiday in Greece to seek romance and adventure. Does she go? Find out for yourself. JANUARY 16th, 17th, 18th, 19th and 20th Meredith Beck and Sarah Gafgen recreate MARY MARTIN and ETHEL MERMAN in Together Off-Broadway! Together Off-Broadway pays homage to Broadway’s iconic Leading Ladies -- Mary Martin & Ethel Merman portrayed by Philadelphia Artists, Meredith Beck & Sarah Gafgen who explore their legendary careers through song, while sharing stories about their lives & devoted friendship. Enjoy show stoppers such as: I Got Rhythm, Neverland, Sun in the Morning, Cockeyed Optimist, There’s No Business Like Show Business, Hello Dolly, The Sound of Music… & their medley of old American standards performed on the Fords Fiftieth Anniversary Television Special back in 1953! 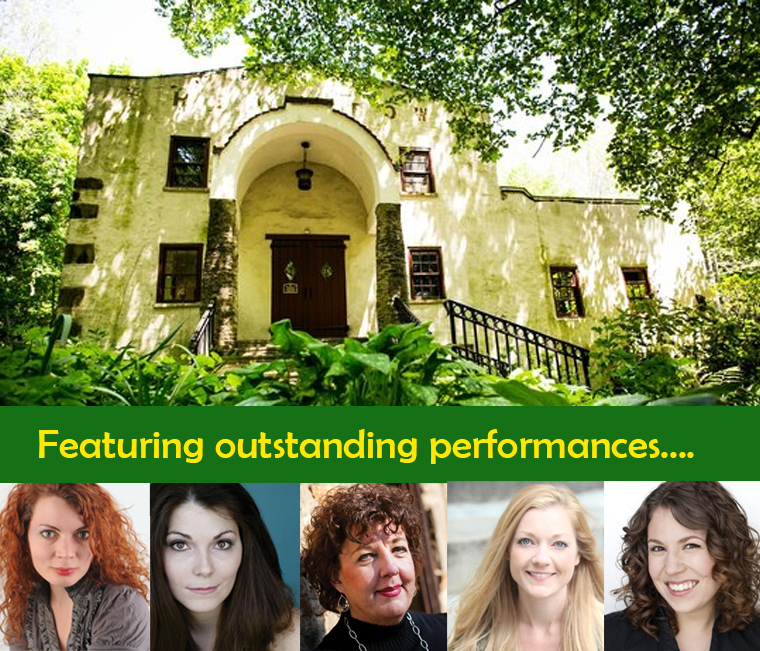 Together Off-Broadway was conceived and compiled by Beck & Gafgen thanks to the generosity of the Philadelphia Womens’ Theatre Festival. There are over 25,000 documented orchid species in the world. Orchids grow on every continent except Antarctica. Orchids have the tiniest seeds in the world...up to 3 million in a seedpod! Orchid plants can live to be 100 year old. If you answered 'true' to all of the above, then you truly are an Orchid "cognoscente!" 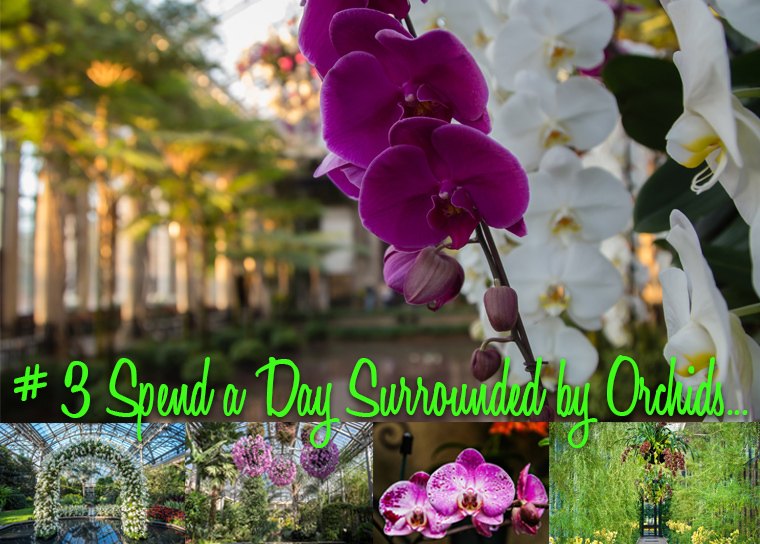 Longwood's Annual Orchid Festival kicks off on January 19th and no one should miss one of the most beautiful and fragrant events of the year. Experience an indoor winter wonderland filled with vibrant, artfully designed arrangements. Lavish Cymbidium orchids dramatically spill from basins, grand Phalaenopsis orchids float overhead, and tiny orchid species make a big impact, among other show-stopping displays. Then take a quiet stroll through the outdoor gardens and enjoy the true beauty of winter. Julius Caesar, Act II, Scene II. Julius Caesar has returned to Rome, triumphant from the war against Pompey. The Republic is prepared to give him additional honors, causing concern among some Senators unwilling to cede so much power to one man. 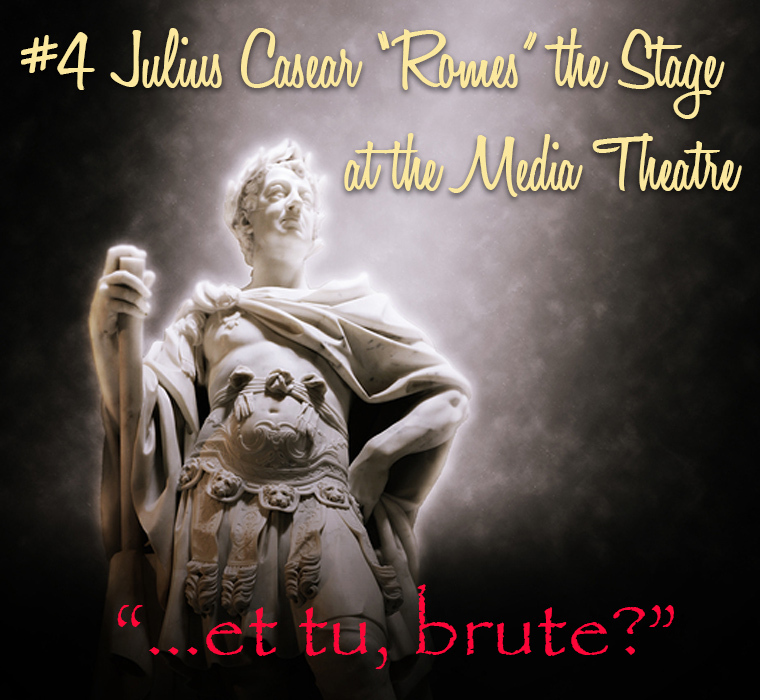 Cassius plots his conspiracy to murder Caesar and asks for the support of the highly respected Brutus. Brutus is conflicted but is finally persuaded to do what is best for the Republic. These decision have repercussions, and if you don't know the story, we won't spoil it for you. But this show is an epic tale of both courage and fear, respect and revenge. Don't miss this amazing production! You will not see an actual person, place, or thing in the painting above...but each of you viewing it at the Community Art Center in Wallingford will see something different. 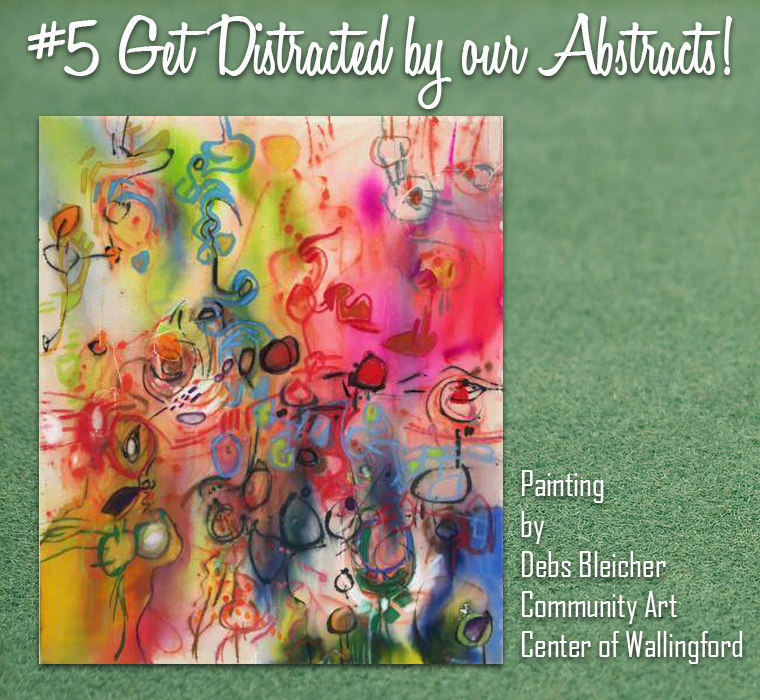 It is a stunning abstract piece by Debs Bleicher where the color, shapes, brushstrokes, size and even the artist's process itself, are both the focus and the subject of the artwork. On January 13th from 2 to 4pm, meet 4 talented artists displaying a variety of art styles at the Community Arts Center in Wallingford. This beautiful building will feature exhibits of Abstract, Ceramic, Watercolor and 2D/3D art works. 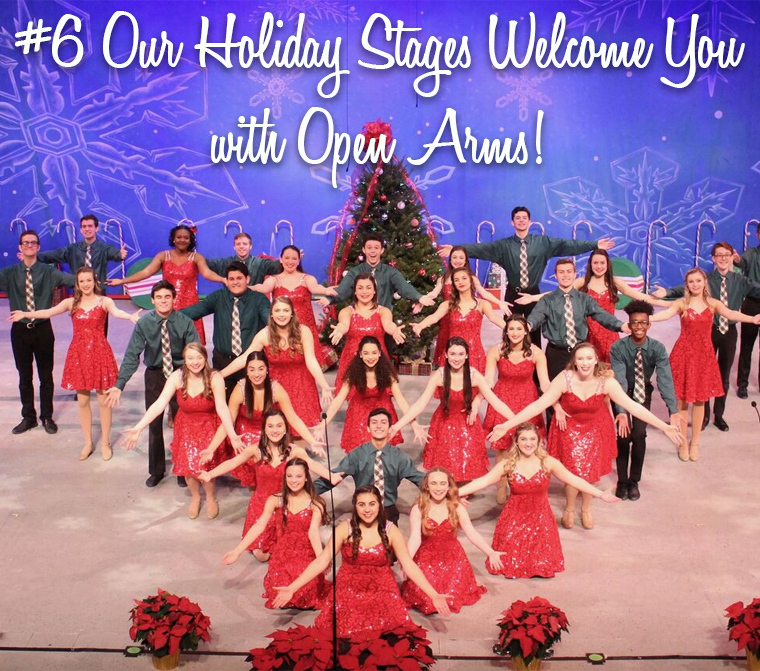 Sign up for Winter Adult and Children's classes! There are adult classes in painting, drawing, ceramics, sculpture, jewelry, and photography - plus children can register for the Art Start Pre-School, Lucky Charms afternoon arts enrichment, After-School and Weekend ART Adventures, and Teen Workshops. 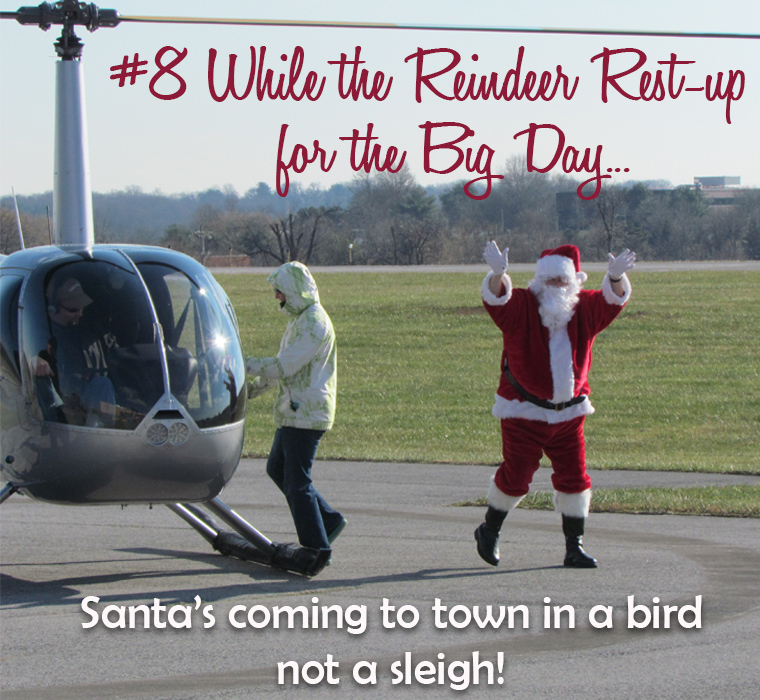 For more information and registration, call the office at 610-566-1713. 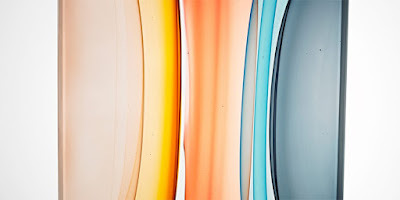 The Wayne Art Center encourages you to learn about a very old and important creative process called "CAST" ...this is where materials (art and objects) are formed using a mold. In addition to works by contemporary artists and craftspeople, the exhibition includes both historical and everyday objects. 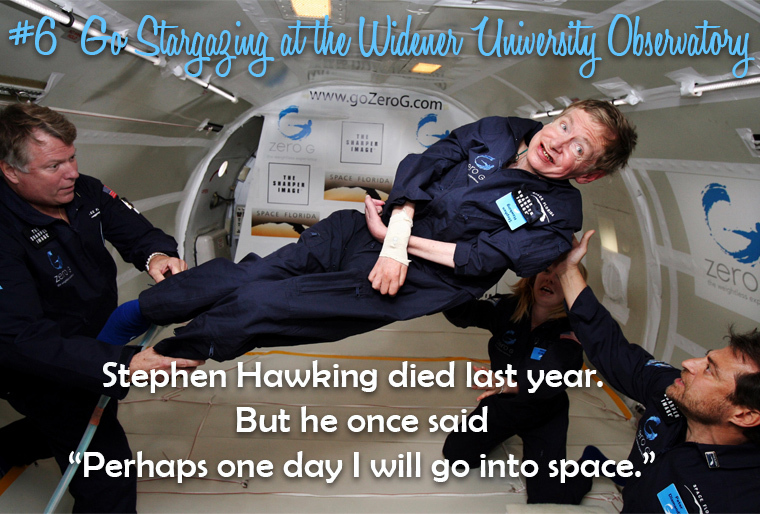 Stephen Hawking never made it into space. He is pictured above in a NASA Zero Gravity Chamber. He died in March, but left behind a legacy of courage, knowledge and the ability to communicate without being able to speak. He looked outward into the universe and wrote papers on Particle Creation by Black Holes, The Large Scale Structure of Space, Wave Function of the Universe, and many more that were born of gazing upwards. Considered by many to be a once in a generation genius, Hawking never won a Nobel Prize. 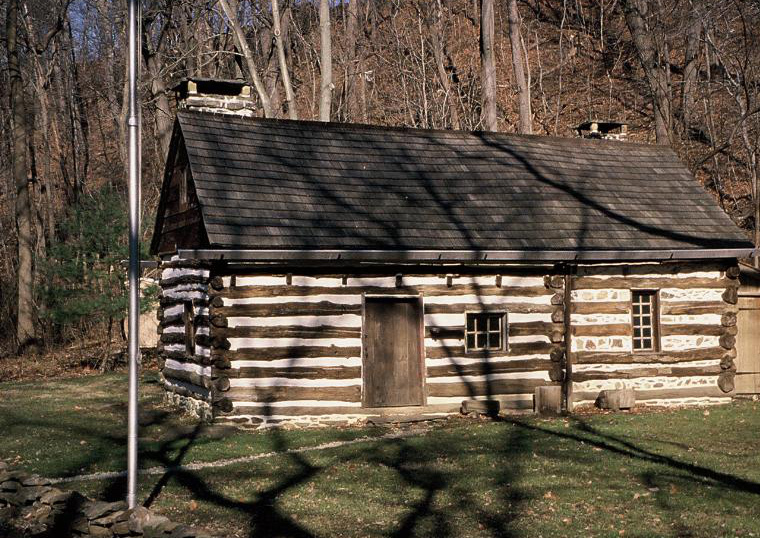 Carry your family fun into the New Year with a Wintery Night Hike and a Family CAMP IN! Bundle up for a Wintery Night Hike on January 19th, 6:30 to 8pm that includes a campfire and treats. How is nature different after dark? Do humans have the ability to adapt without light? 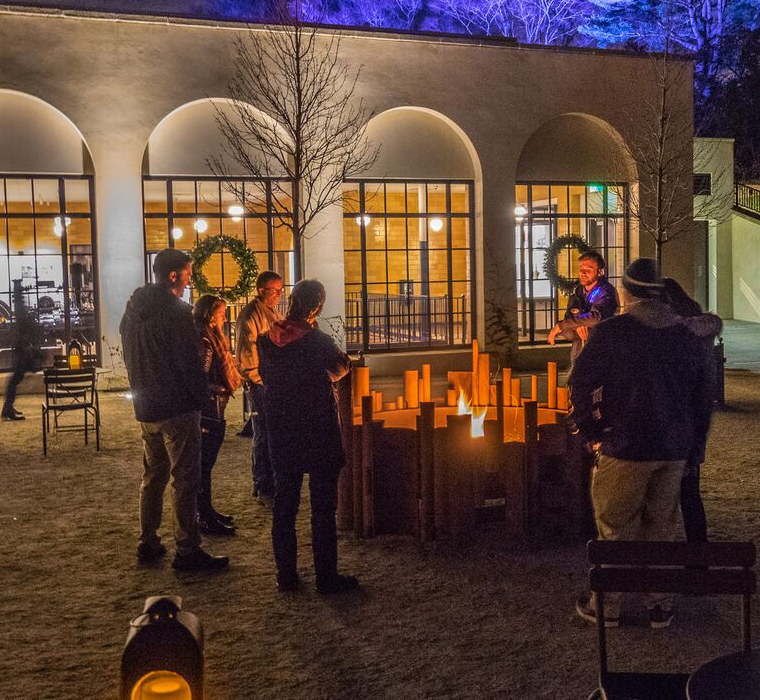 Explore your senses and the Arboretum by the light of the moon during this nighttime sensory hike. End the night warming up around a campfire with a delicious treat! Bring a flashlight and dress warmly. Suitable for teens and adults. FREE for members, $15 non-members. at Tyler Arboretum! 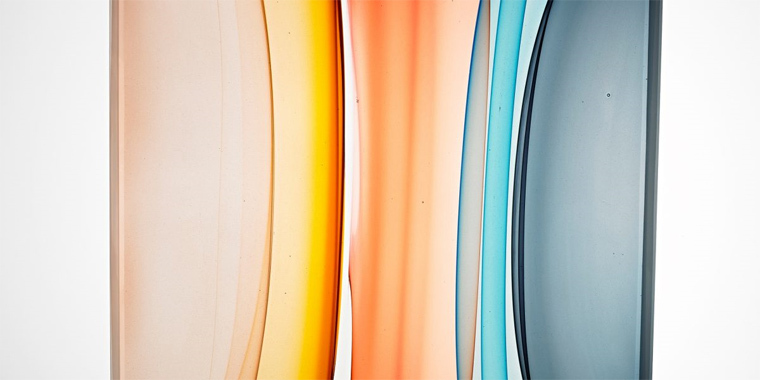 Photo by Tom Crane. Pitch your tent in Tyler's beautiful redesigned Barn Loft from January 26th at 4pm to the 27th at 10am! 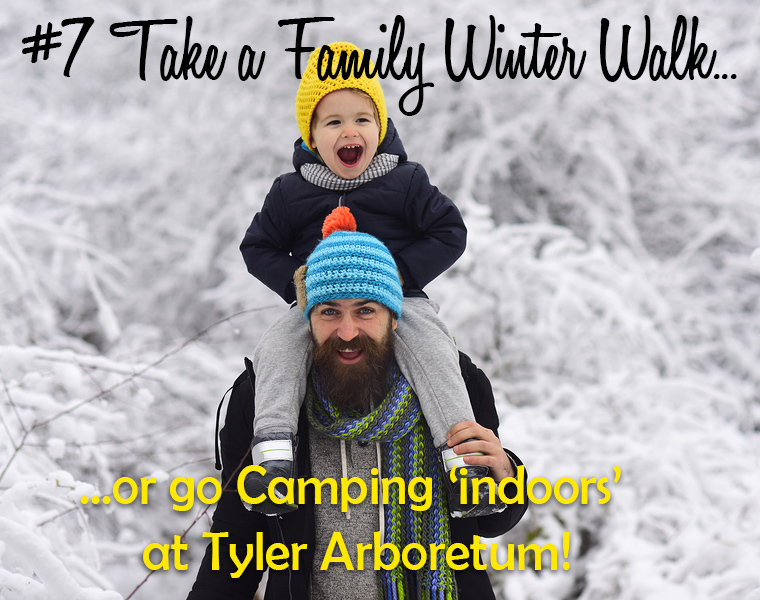 Join Tyler for their Family Camp In weekend adventure. Stay overnight at the Arboretum! 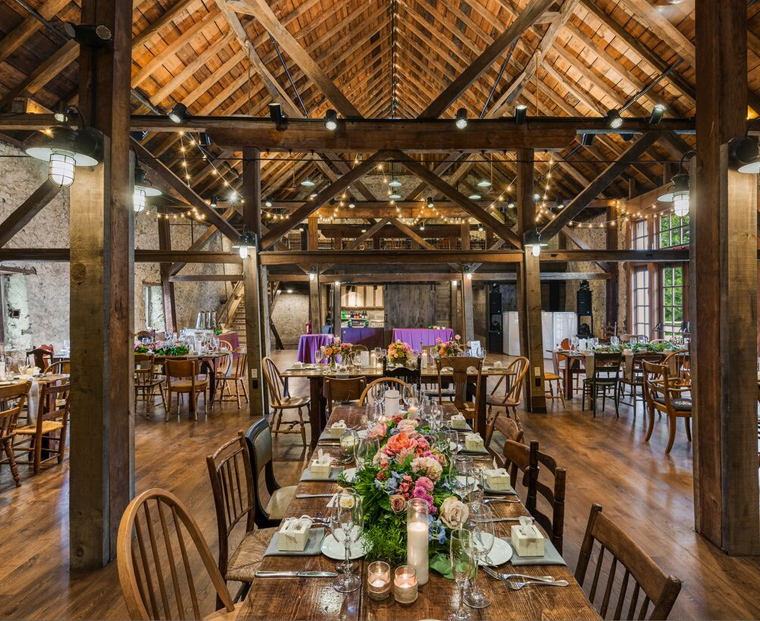 Set up your tent in the renovated Barn loft and dinner, s’mores, and breakfast will be cooked over a campfire. Bring your own camping gear. Plus Explore Tyler at night with an evening hike. Members: $30 per child, $40 per adult; Non-members: $40 per child, $50 per adult. 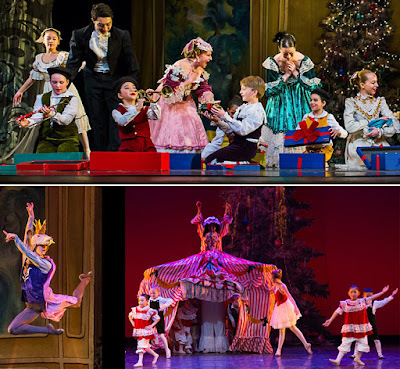 The Upper Darby Performing Arts Center has been host to one of the finest youth music and theatre programs in the state. For 43 years, it has hosted a summer theatre program for young community members. 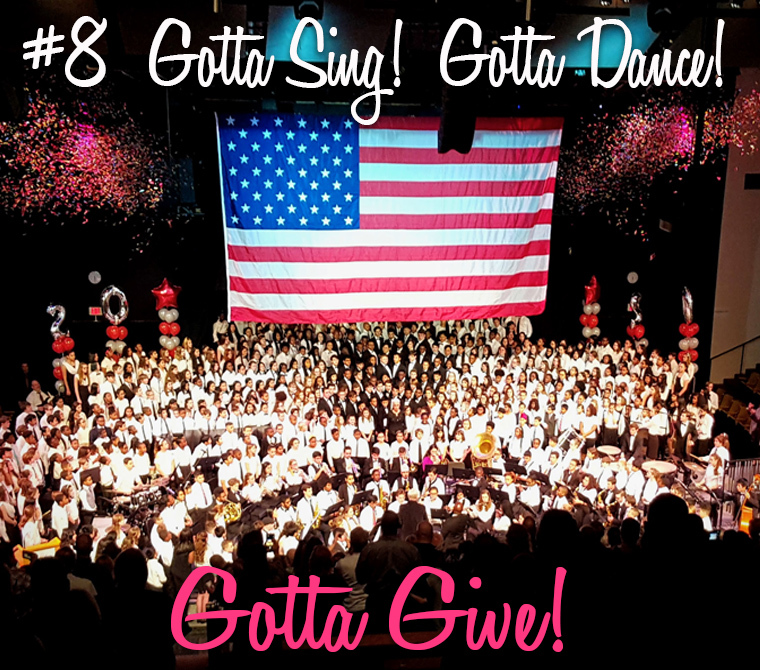 Summer Stage alumni include artists such as Tina Fey, Josh Young, and Marcus Stevens, plus countless others who continue to embody the motto of Filling the World With Love. 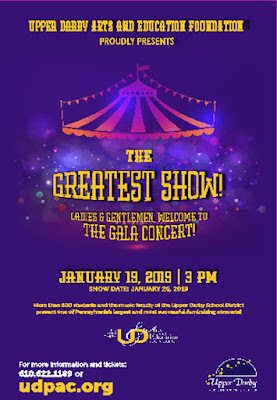 On Saturday, January 19th at 3pm the Upper Darby Arts and Education Foundation holds its annual Fundraising Gala...and this year's event is titled "The Greatest Show" and is under the direction of Barbara Benglian, UDHS Choral Director and recipient of the prestigious PA Teach of the Year. Please purchase tickets for your family and friends to attend this outstanding event that benefits local youth throughout the county! 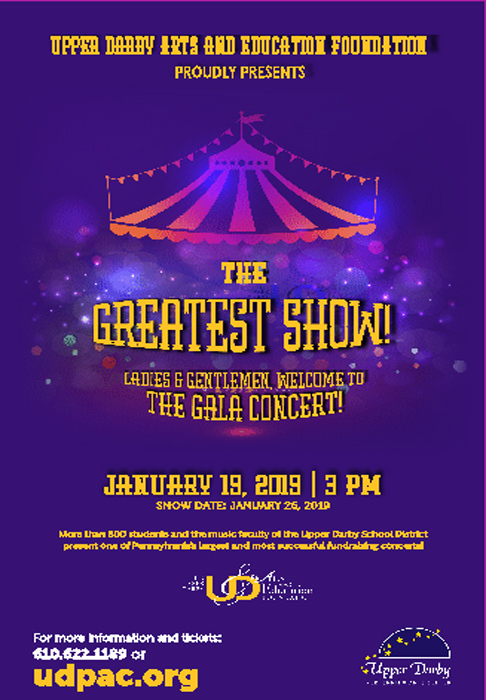 The event has helped fund the awarding of over $2,000,000.00 in grants to benefit innovative classroom and district projects, music, the arts, robotics, after-prom, academic scholarships, Upper Darby Summer Stage and the K-2 Literacy Initiative. Tickets are $15 to $60 depending on your seating choice. 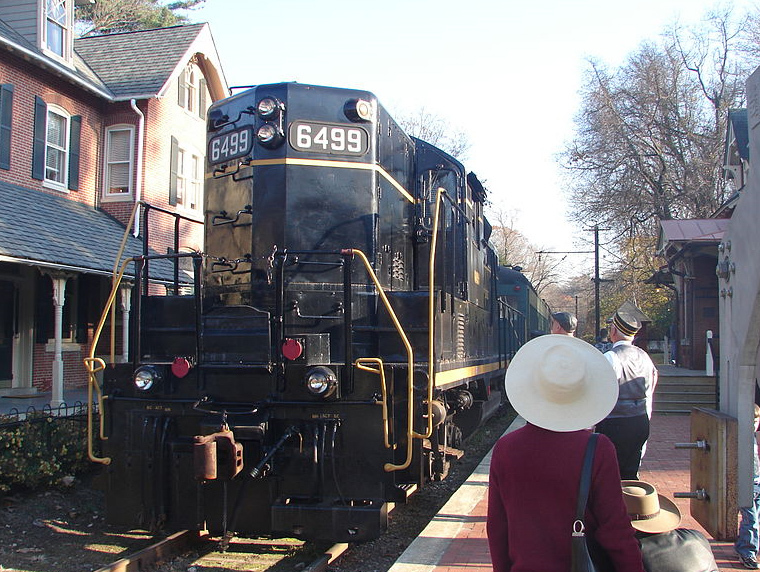 Take a free Guided Winter Highlights Tour on January 17th or 29th from noon to 1pm. If you ate too many cookies over the holidays, a brisk lunchtime walk through the Winter Garden is a great way to kick off your 'get ready for bathing suits' regimen! Beginners and experts alike will enjoy this winter tour led by Arboretum staff. It begins in the Scott Arboretum offices and is free and open to the public. In case of inclement weather, the tour will be canceled. 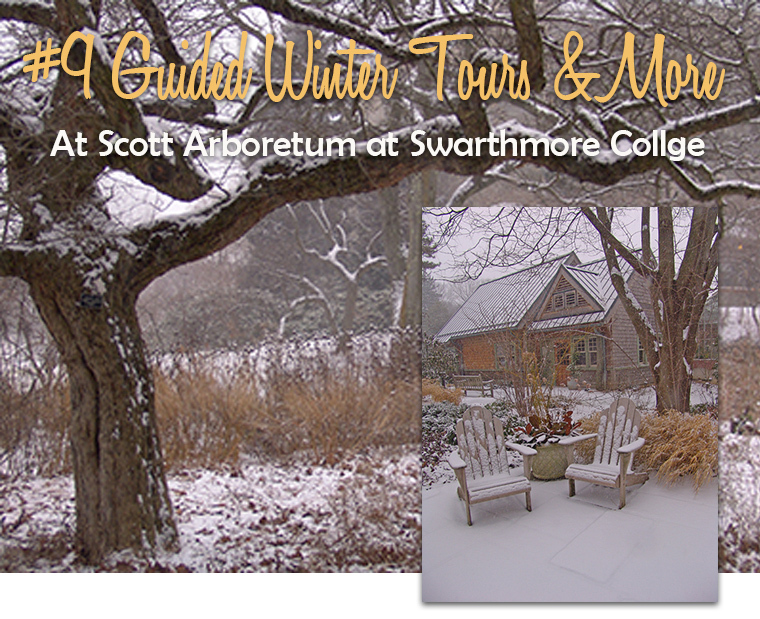 For more information, call the Scott Arboretum offices at 610-328-8025. On January 31st, from 1 to 2pm, let the Arboretum whisk you off to 3 Sunny Southern California Public Gardens. This Wanderings at One event is free and open to the public. Attendees will tour 3 gardens through staff experiences, photos, food, architecture and customs. This is a fun event where questions are encouraged! 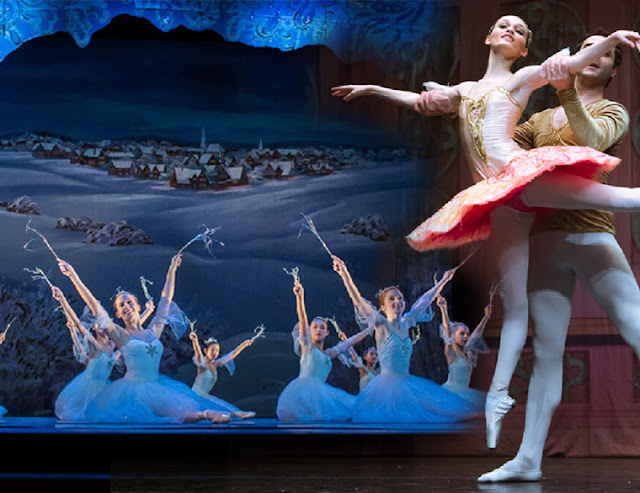 It is held in the Lang Performing Arts Center Cinema at Swarthmore College. GARDENS FEATURED WILL BE: South Coast Botanical Garden, Los Angeles County Arboretum and Botanic Garden, and The Huntington with Mary Tipping, Plant Recorder and Curator of the Scott Arboretum. Learn how the Jewish faith celebrates the importance of trees in Tu b'Shevat, a celebration of the Jewish New Year of the Trees, in anticipation of spring. There will be holiday activities including a nature walk, Seder (a participatory Jewish ritual appreciating plants and exploring their spiritual teachings), planting of herbs and dates, and a reception. It is free and open to the public. This program is co-sponsored by Scott Arboretum of Swarthmore College, Swarthmore College Interfaith Center, and the Kehilah Board. Register by calling 610-328-8025. 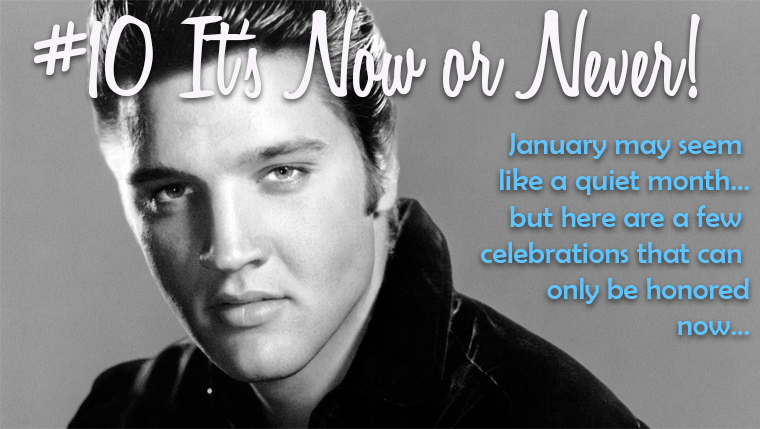 January 8th is Elvis Presley's birthday. Still referred to as "The King of Rock and Roll," his Graceland home is one of the nation's most popular 'home' attractions, drawing more than 700,000 visitors a year. In fact, only the White House welcomes more! January 29th is National Popcorn Day so get "all shook up" and head for one of Delco's many movie theaters. From the AMC's in Springfield and Media, to the Regal Cinema in Edgemont or the very cool vintage Anthony Wayne Theater in Wayne, the best (and possibly worst-for-us) popcorn is still found at the movies! And if you like your popcorn homemade, shake up a few bags and do an Elvis Movie Marathon Night! Nothing transforms our homes at Christmas time like a tree. 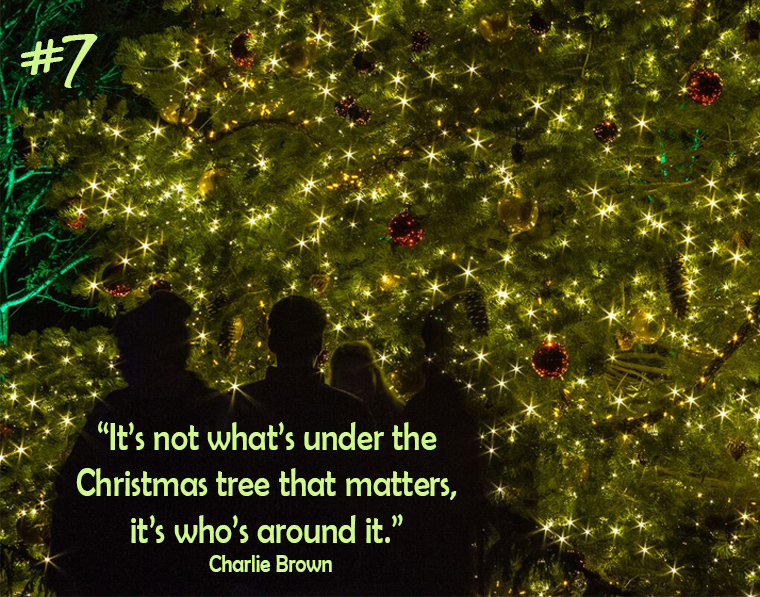 A Douglas Fir...a Pine, Spruce, Cypress or Cedar...all have become the magnet for families to gather around when celebrating this sacred holiday. The act of coming together, and looking up is perhaps the essence of this season. 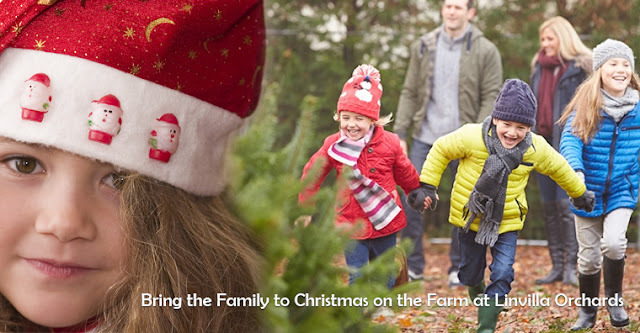 Your family's search for the perfect Christmas tree begins now! With 40,000 trees on their farm, Linvilla Orchards is one of the most popular 'CUT YOUR OWN' or BUY FRESH locations in the Tri-State area. 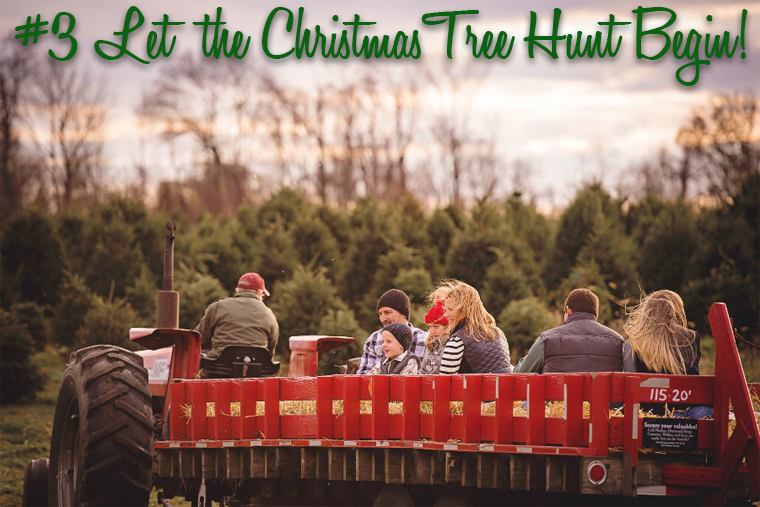 Now through December 23rd, thousands will make the pilgrimage to Linvilla for their tree. The adventure starts when your whole family takes a hayride to the Christmas tree fields to select your favorite. The majority are 6' to 10' Douglas Fir but there are also some Canaan Fir trees. Linvilla supplies the saw, they help haul your tree back, shake the loose needles, wrap it up and event tie to your car! The Price is $69.99 plus tax. 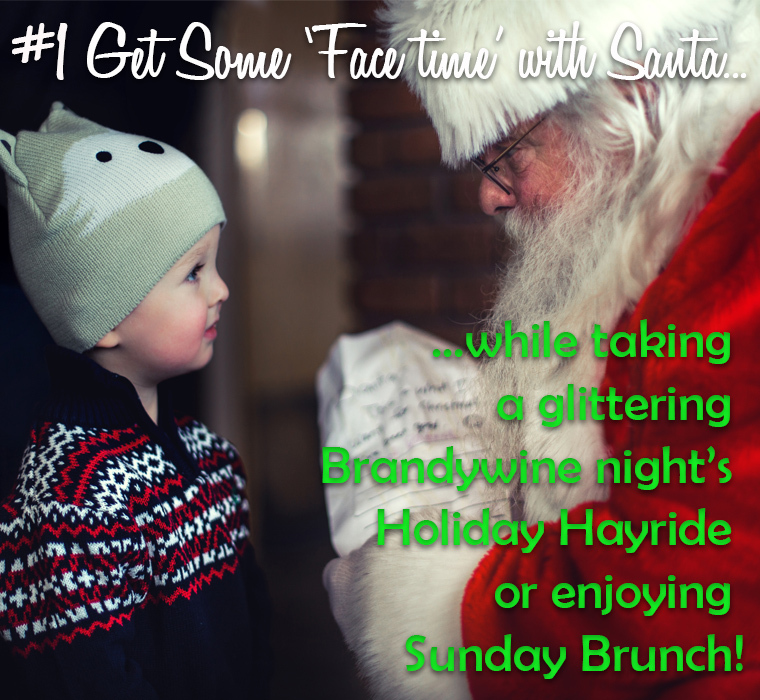 The lasts hayride starts at 4pm each day. 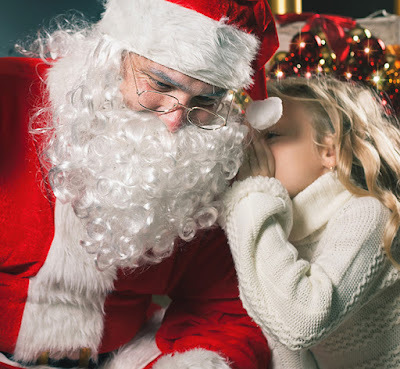 And if you don't want to cut your own tree, the garden center has been transformed into a Winter Wonderland, featuring trees of all types and sizes, plus Santa and his Elves, handmade wreaths, greens and holly and a sea of Poinsettias! Then make sure you stroll through the market, and explore the mouthwatering fresh baked holiday pies, cookies, cakes, jams, breads and other iconic holiday treats. Call 610-876-7116 to order your holiday pies and cakes in advance! But the talented team at Delco's Department of Parks and Recreation has no trouble stringing more than 100,000 lights each Christmas, giving residents and winter visitors a beautiful postcard setting every December! 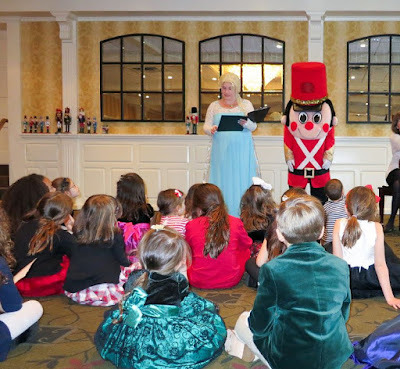 Set on 120 acres of rolling meadows, woodlands, and majestic trees, Rose Tree's holiday decorations also include many beloved characters from Santa Claus to Charlie Brown and Frosty the Snowman. In the Courtyard there are also Victorian Carolers, part of a large mural on wood created by students at Media's Williamson Trade School. 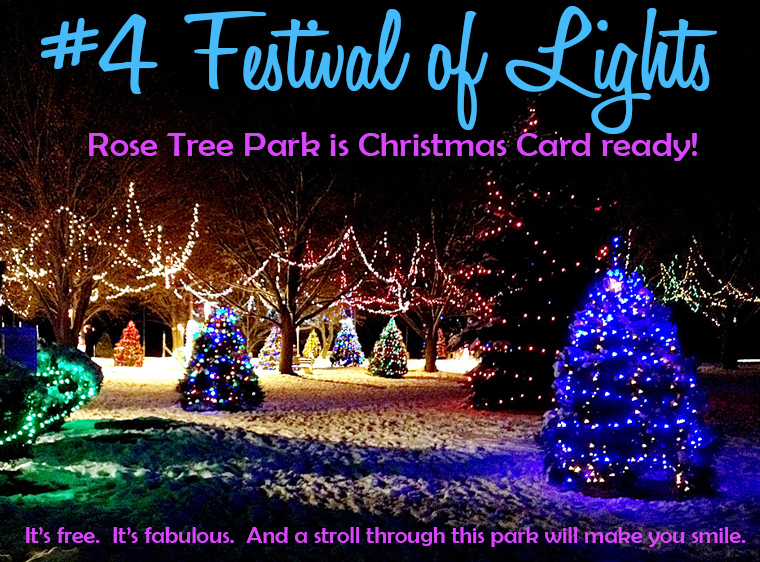 We all look forward to December, when this 4-decade long tradition arrives: Our Festival of Lights! There are picnic tables, a courtyard and park benches to sit on and take in the beauty of the lights which are turned on from 5:30 to 9:30pm every night through January 1st. The Festival of Lights began in 1976 as part of festivities planned to celebrate the nation’s Bicentennial. 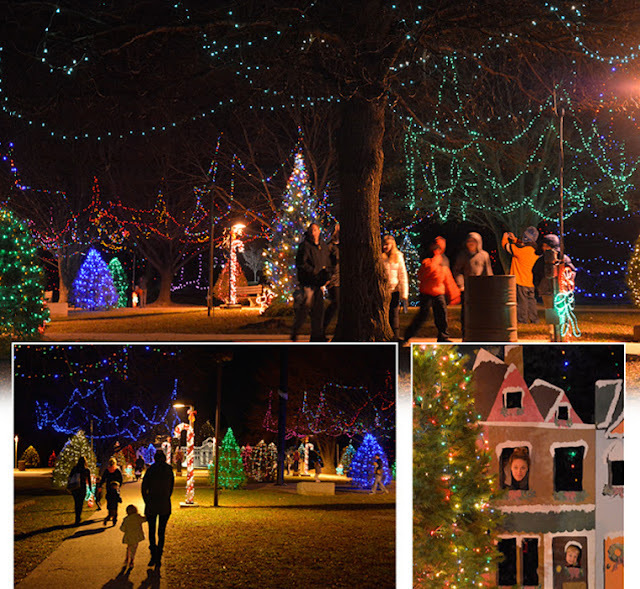 The festival has since grown from 50 lighted trees (one for each municipality and one large one to represent the county) to 75 decorated trees strung with 100,000 holiday lights, and dozens of hand-painted wooden figures, including toy soldiers, a snowman family and a replica of the Delaware County Courthouse. 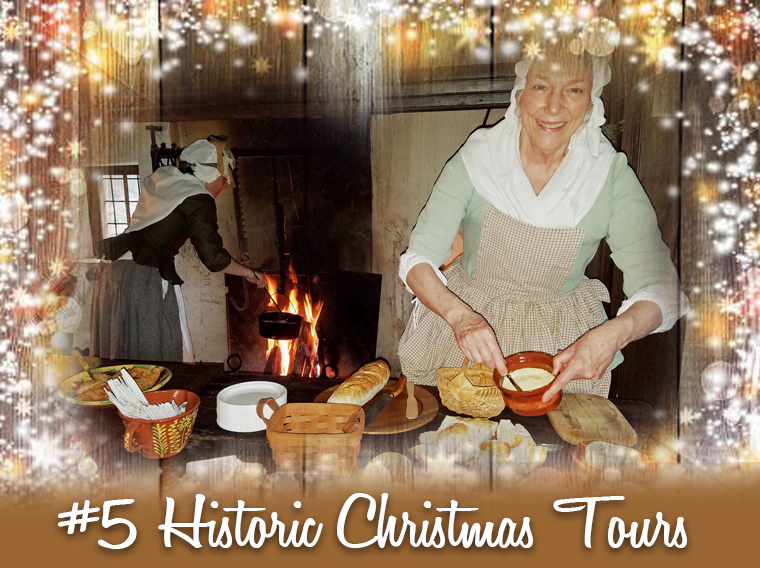 The Chadds Ford Historical Society is hosting a traditional Candlelight Christmas Tour on December 1st from 1pm to 6pm, highlighting our historic houses decorated with symbols of the season. 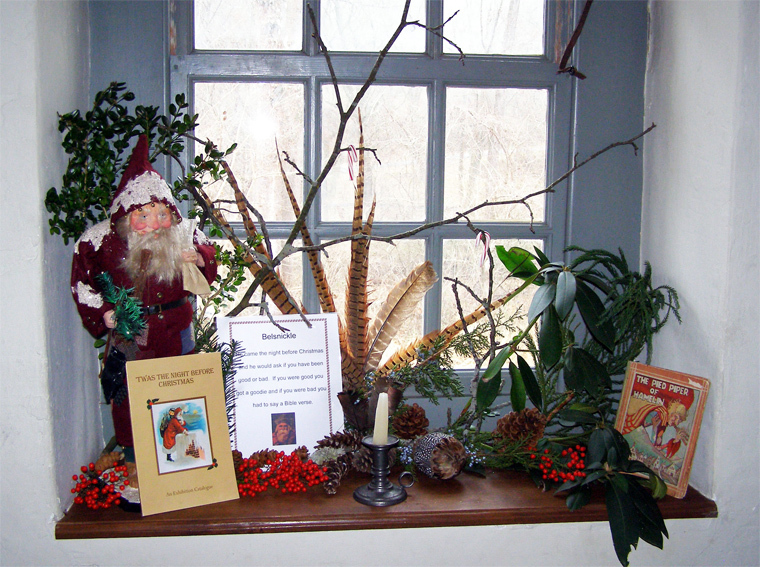 Join the Heritage Dancers as they make merry at the Barn Visitors Center. 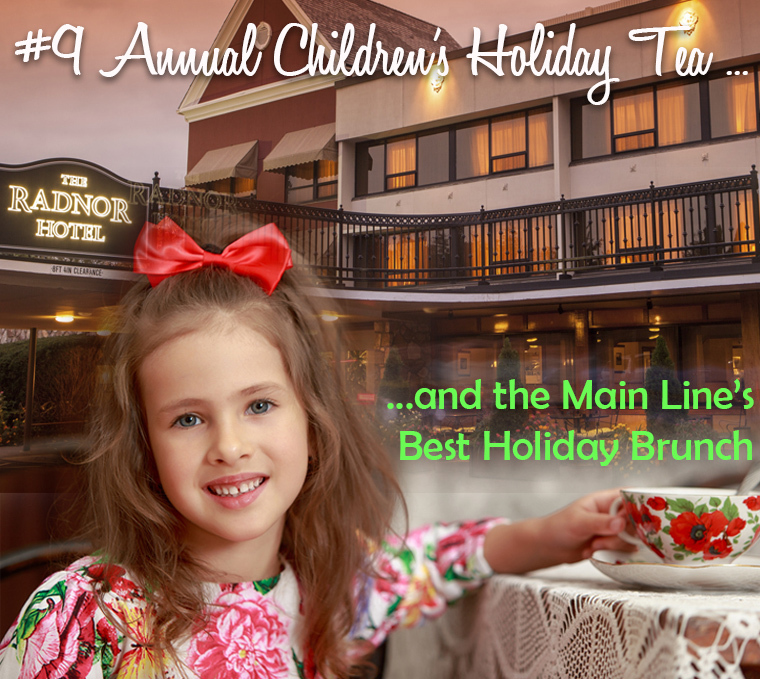 Partake of some desserts before heading next door to the Springhouse, once a school in the 1800s, where you'll see Christmas books from past and present. 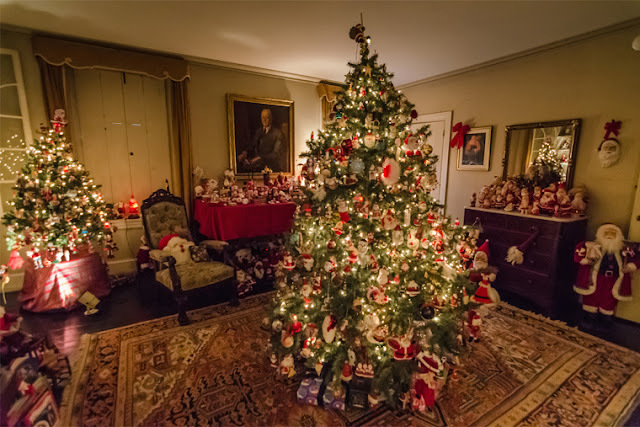 Join the celebration at the John Chads House (c. 1725) with rooms of live greens and symbols of the season including arks, creche sets and toys. Enjoy Portugal cakes, Stollen and spiced tea cooked on the open hearth. 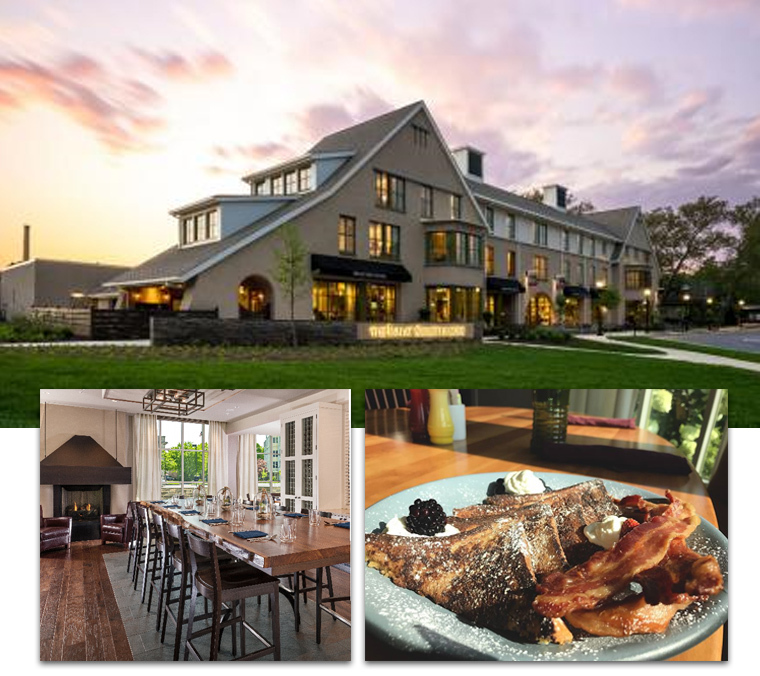 ​A short drive away, our Barns-Brinton House allows visitors to grab a glass of wine and toast to the season in this tavern dating back to 1714. As a fiddler entertains colonial revelers, warm yourself by the hearth and sample homemade soup, bread and Spritz cookies. 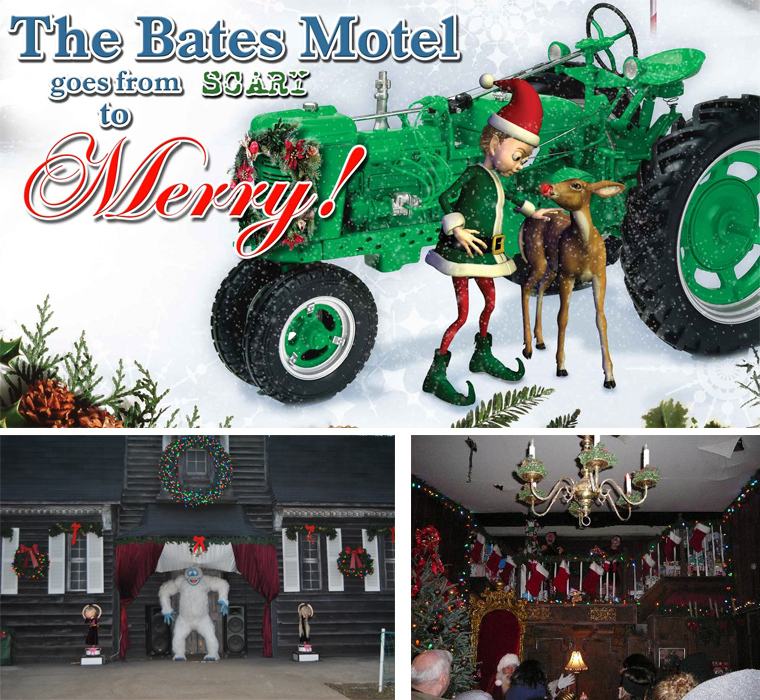 Tour the historic rooms decorated with Santas, gingerbread, wreaths and handmade ornaments. You are sure to leave having experienced the warmth and spirit of the season. 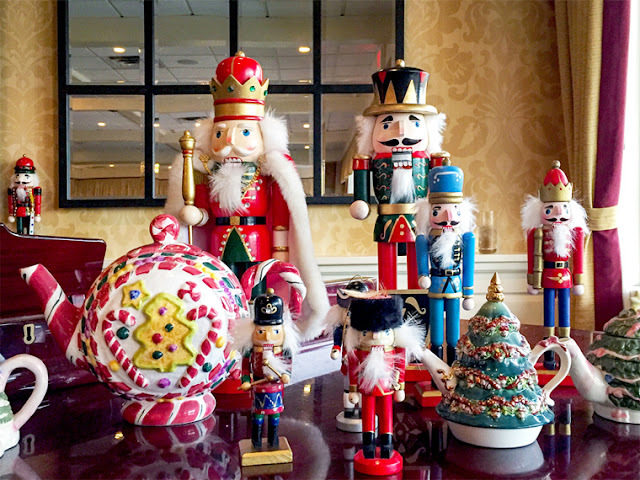 There is a different rhythm at the Historic Grange Estate during the holiday season. When you come to the Grange, you’ll leave the modern pace behind and experience memories of Christmas with a pronounced Victorian sensibility. The Grange Mansion is decorated throughout with a themed tree in every room, dressed with nostalgic ornaments, copious greenery and a nod to the mid-century. In all, there will be 13 decorated trees! 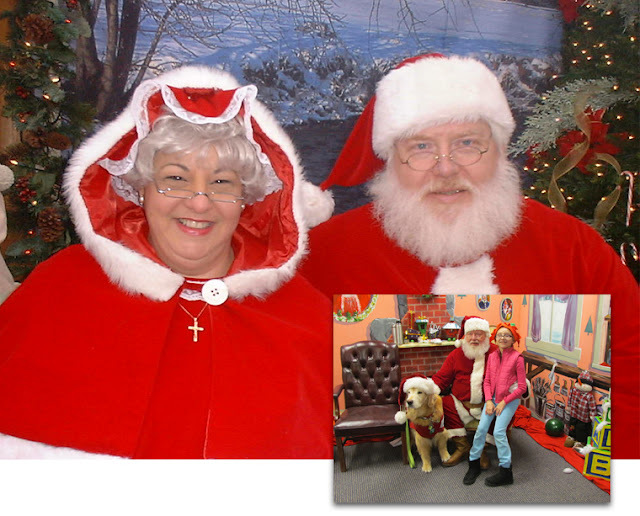 Explore the extensive Santa Claus Collection of Chad and Francine Brooks. Check out beautiful one-of-a-kind Santas, some of which are animated! There is also a tree decorated with heritage ornaments created at the Grange over several decades. 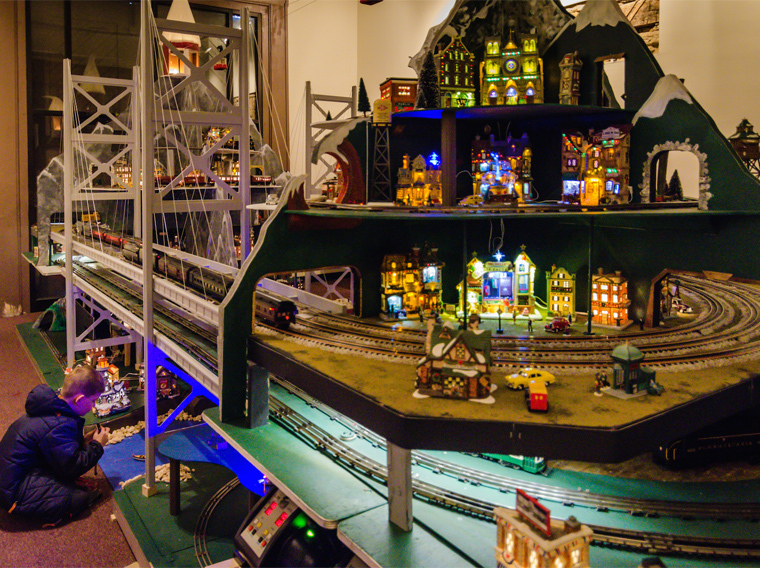 Plus the Cobbs Creek Holiday Train Exhibit is a wonder all its own...with multiple tracks on several levels, plus vintage decorations, and a host of festive holiday stops! 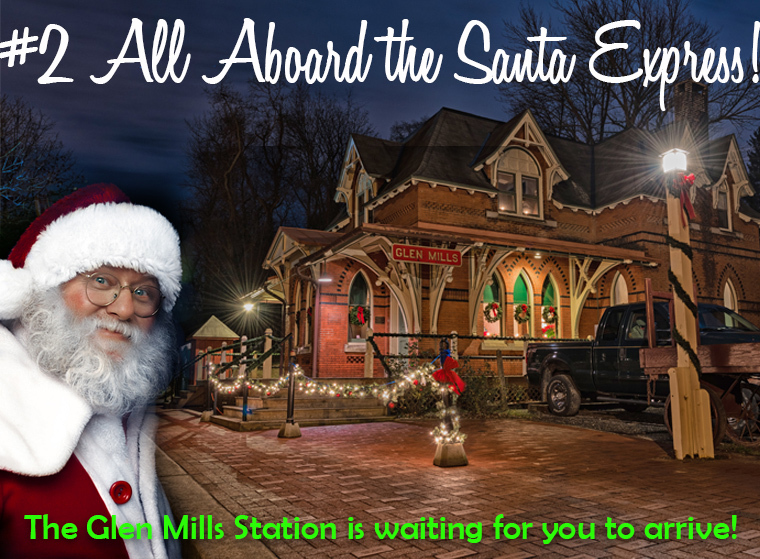 At Christmas time the Carriage House of the Grange Estate is transformed into the Cobbs Creek Lines Holiday Railroad, a magical land of Lionel and O Gauge trains. 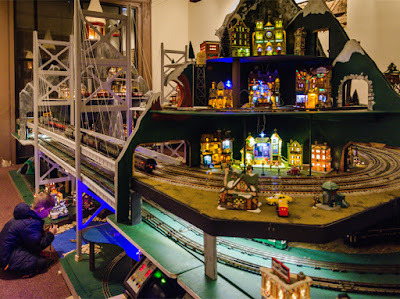 Viewers of all ages delight in the immersive, fun-filled and fantastic display of trains. 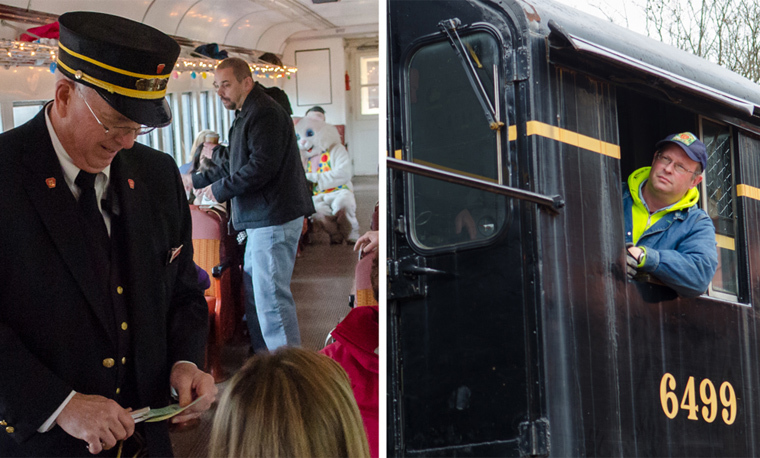 Each year a dedicated group of volunteers assembles to enhance the train display, and each year’s visit brings something new to enjoy! Tours of the Mansion are 1-4 pm and admission is $5 for adults and $1 for children ages 5 through 12. The Gift Shoppe features unique hand-crafted items including distinctive home decor, wearables, and some clever old-fashioned solutions to modern needs. Saturday, December 8 – Take photos with the trains. 10:00 AM – Noon – Free. Donations accepted. 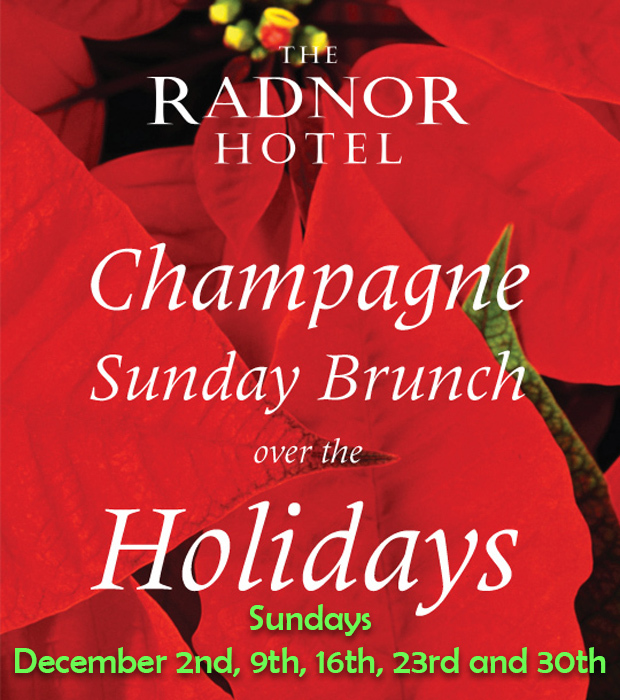 Saturday December 15 – A Flute Choir performs. 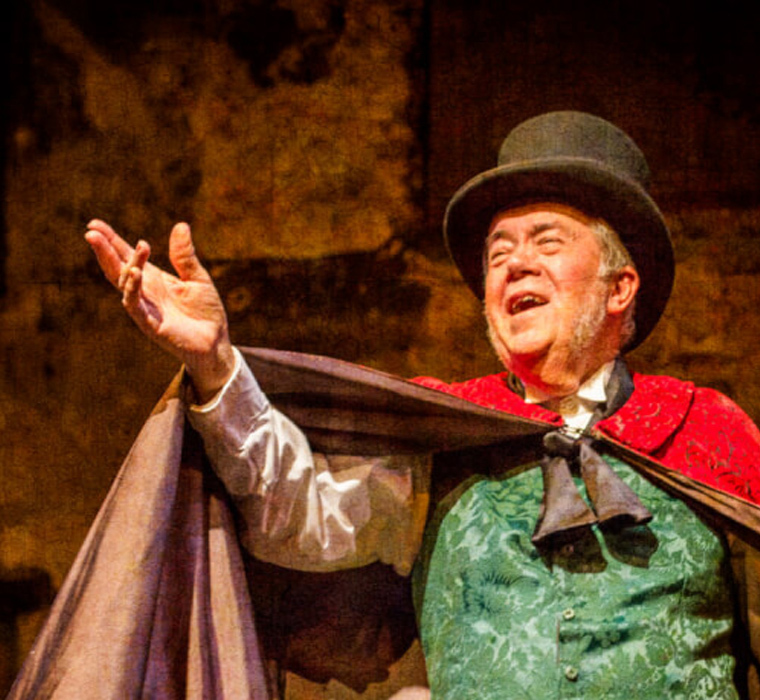 2:00 PM – 3:00 PM Concert included in mansion tour admission fee. Celebrate the holidays Swedish Style at the Annual Trim-A-Tree Christmas Party at the Swedish Cabin on Sunday, December 2nd from 2 to 4pm. There will be food, marshmallow roasting for kids and lots of games. There will also be Swedish related items for sale. 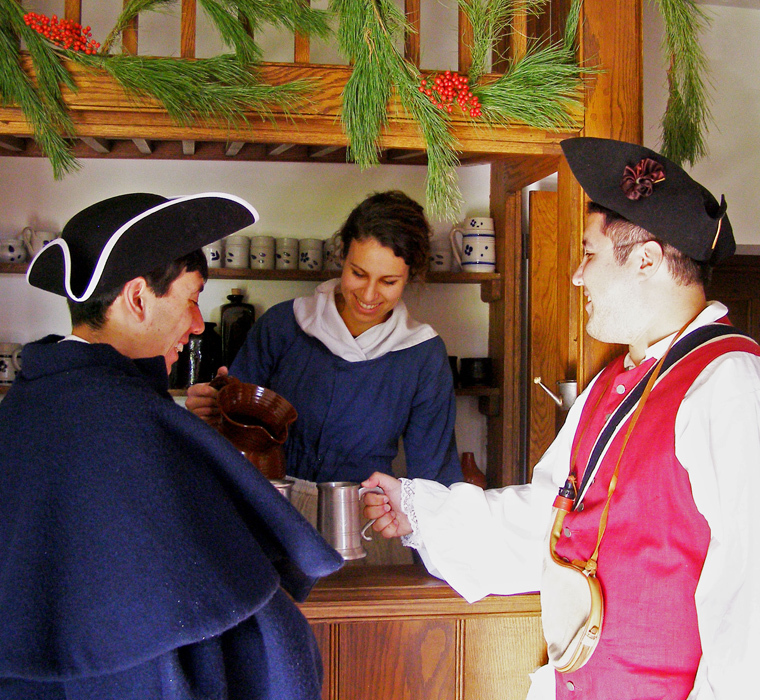 Experience a true 17th Century Christmas, as the cabin will be decorated to the period, and the two fireplaces will be lit. There will also be a supervised fire pit outside for roasting marshmallows. Admission is free! 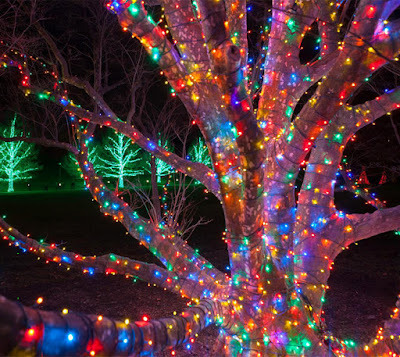 So gather your family and friends and come share the magic of the Christmas Tree at Longwood Gardens, now through January 6th. Inside Longwood’s warm 4-acre Conservatory, a forest of floating trees embellished with dazzling crystals, glass ornaments, and glittering baby’s breath hangs from above. A 24-foot tall concolor fir garnished with red ornament stands amid a woodland of white frosted trees and winterberry holly. An ethereal glass “tree” made of 600 slivers of hand-cut green glass in various shades is suspended over a meadow of red and white amaryllis, hellebores, and kalanchoe. 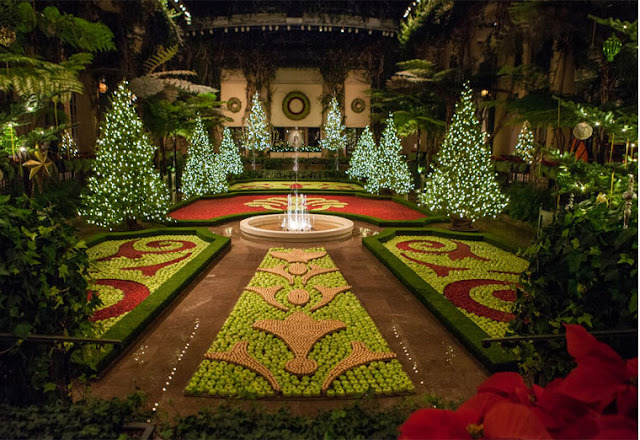 New displays include the Main Fountain Garden as shimmering lit conical trees decorate the garden. Their popular Wildlife Tree is reinvented as a 15-foot conical tree covered in 200 handmade birdhouses and decorated with edible ornaments for our furry and feathered friends. 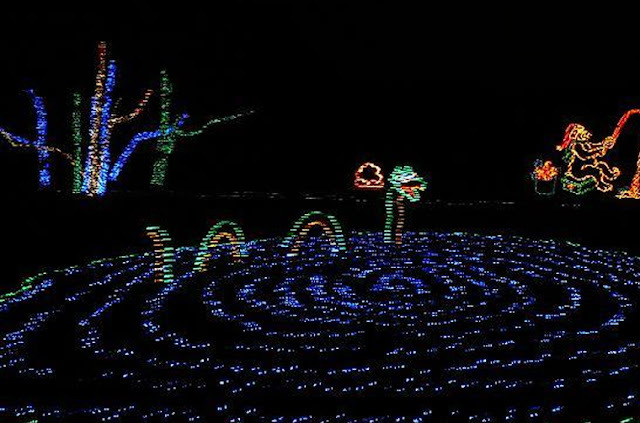 Stroll underneath floating orbs of light, watch as tree roots and branches take new illuminated life, and see the Main Fountain Garden as you’ve never seen it before. A SELLOUT IS LIKELY so don't delay!